Valve's vast potato-based conspiracy explodes today, as GLaDOS and Portal invade the thirteen games that were offered as part of Steam's indie game Potato Sack bundle. The horror! Players that purchased the Steam Potato Sack indie game bundle have gotten a whole lot more that thirteen excellent indie titles and a special skin for Portal 2 co-op. They've also gotten invaded. We've already seen what GLaDOS has done in Bit.Trip Beat. That was just the beginning. As you can see in the images and videos in this gallery, GLaDOS is everywhere, from Dejobaan's 1... 2... 3... KICK IT! and AaAaAA!!! to Tripwire's Killing Floor, she cannot be escaped. Once you're done looking through the gallery, check out the desperate plea for help over at Cogs' Lazy 8 Studios. Here's the trailer for GLaDOS' vidit to The Ball. There's a special song and ride waiting for you in Audiosurf. 1... 2... 3... KICK IT! is Still Alive. The new Killing Floor level looks a bit familiar. 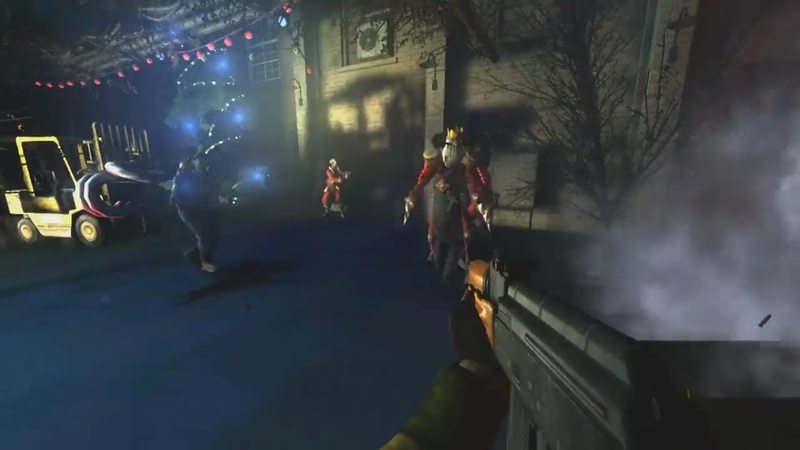 While the church downstairs prepares to celebrate the Christmas season, Tripwire Interactive has been busy creating an expansion for Killing Floor that lets you kill Santa Claus, along with a special present for fans of Valve's Team Fortress 2. 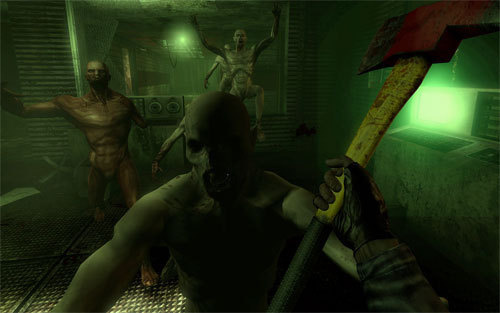 Killing Floor is a cooperative multiplayer Steam game that plays a little like Valve's Left 4 Dead series, only with mutants in place of zombies. It's developed by Tripwire Interactive, a development studio located on the top floor of a church in Roswell, Georgia. A church whose attendees might have serious issues with Killing Floor's Twisted Christmas event. Running from December 14 through January 4, the Twisted Christmas event is free to everyone that owns Killing Floor. It replaces the game's regular collection of super-powered specimens with festive holiday-themed creatures hell-bent on your annihilation. It's got evil reindeer, evil gingerbread men, and yes Virginia; there is an evil Santa Claus. Santa even gets his own level, Santa's Evil Lair, which seems a little out of character for the jolly old elf but hey, we'll play along. Players that participate in the event will unlock a Baddest Santa as a multiplayer character. Players who participate in the event and own Team Fortress 2 will also score an extra bonus: A playable red or blue Pyro. Team Fortress 2 players will score Mr. Foster's trademark gas mask and business tie as equippable items for Pyro in that game. Head over to the official event page for more on Killing Floor's Twisted Christmas event. Mac gamers, fire up your installation of Steam today for some first-person shooter thrills, courtesy of cooperative survival horror shooter Killing Floor. 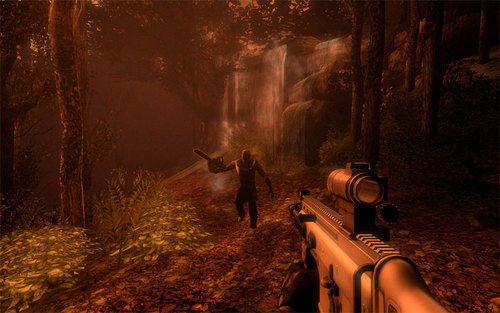 Tripwire's 2009 action game leads the latest batch of Steam games available for the Mac. No, there are no heavy hitters from Valve this week—no Left 4 Dead, Team Fortress, Counter-strike or Half-Life games—but there are Madballs. For a list of the new additions, some of which are cross-platform compatible for Mac versus PC multiplayer and some of which are on sale this week, read on. The Mac faithful will have more than just Valve-developed games at their disposal when Steam makes the transition to Apple computers next week. At least two more games, first-person shooters Killing Floor and Red Orchestra Ostfront 41-45, are coming too. Big Download confirmed with publisher Tripwire Interactive that it's porting its pair of Unreal Engine-powered shooters to the Mac. Both titles are expected to get the full Steam treatment, with Achievements, cross-platform play and access to already released downloadable content. Expect Killing Floor and Red Orchestra on or around launch. Who else will follow suit and squeeze more money from the under-served Mac userbase, a demographic that really likes to spend money?